Read articles about water transfer, venting and other topics of interest. Discounted Units & Special Deals. our units 24 gpm and up, providing the best Air Separation possible. The Logic Seal and Vac-U-Temp do more than just prevent leaks in your mold. 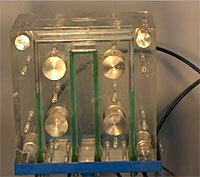 They are part of a system designed to increase the productivity of your molding. Many of your venting and cooling problems will disappear. SAFER OPERATIONS- Our units can be set for little or no positive pressure, which minimizes painful and costly accidents. NO LEAKS ABSOLUTELY GUARANTEED – The Logic Corporation can safely make that statement. The Logic Seal works below atmospheric pressure; air pressure outside the mold is always greater that the pressure in the mold’s water channels. The outside pressure will always force the coolant to flow in its channels. A leak is tamed before it can start. With the Logic Seal™ leakstopper, faulty '0' rings and cracks in the mold no longer mean an interruption in production: you just keep right on molding! Often, you can even achieve faster cycles due to improved coolant flow. The advantages don't stop there, however. 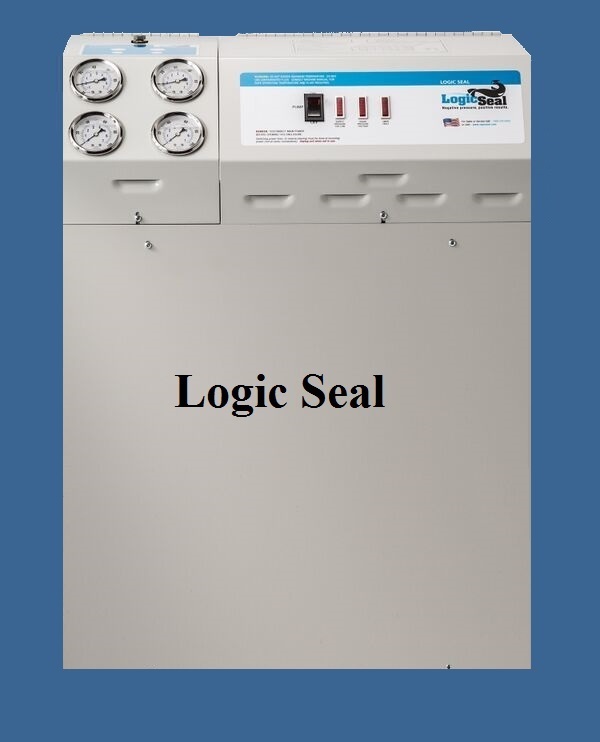 As the owner of genuine Logic Corp. equipment, you may also be licensed, free of charge, to use any one of our exclusive, patented processes to decrease cycle time in truly dramatic fashion. These include Water Transfer™ and Waterline Venting™. There are even many, many more techniques possible only with negative pressure technology. Logic Corp. offers free consultation to their customers in using any of these procedures. Talk to the professionals ... talk to Logic Corp.
FLOW 4.7 15 24 53.2 G.P.M. Supply & Return 0.75 0.75 1.25 1.25 N.P.T.